TESTED AND IN PERFECT WORKING ORDER. THE BORING BITS. 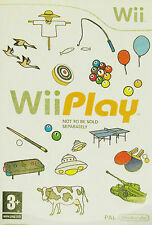 Wii Play - Nintendo Wii. Wii Sports Resort - Nintendo Wii. 1 - Super Mario Galaxy - Age 3 no manual, disc has light marks. Pikmin - Nintendo Wii - UK PAL - Boxed all Complete - Very Good condition. Dispatched with Royal Mail 2nd Class Large Letter. Following from Wii Sports and Wii Fit, this music title makes creation and performance accessible to anyone and everyone. 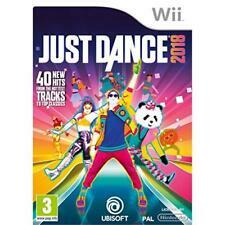 There's no fear of getting the music wrong, because Wii Music makes the right kind of sound for you. Nintendo Wii Mario Kart. Condition is Like New. Dispatched with Royal Mail 1st Class Large Letter. This is a hardly used PokePark 2: Wonders Beyond For Nintendo Wii Boxed game. Condition is excellent. No damage or marks or scratches and all paperwork included. Dispatched with Royal Mail Signed For® 1st Class Large Letter. Guitar Hero: Warriors of Rock (Nintendo Wii, 2010) No Box. Not Used. Guitar Hero: Warriors of Rock (Nintendo Wii, 2010) No Box. Not Used.. Condition is Good. Collection in person only. 5 out of 5 stars - Guitar Hero: Warriors of Rock (Nintendo Wii, 2010) No Box. Not Used. 5 product ratings5 product ratings - Guitar Hero: Warriors of Rock (Nintendo Wii, 2010) No Box. Not Used. Good condition Mario Kart bundle including - Steering wheel. We will always go out of our way to source the product you are looking for. Contents are in good condition. LARGE BOX MARIO KART WII. ALSO COMPATIBLE WITH THE NINTENDO WII U. 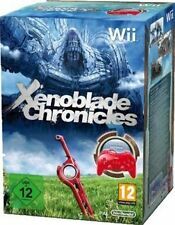 COMPLETE WITH MANUAL AND 1 OFFICIAL WII WHEEL. Wii - Mario and Sonic At The Olympic Games - Boxed . Condition is Good. Dispatched with Royal Mail 2nd Class Letter. Mario Kart with 2 Wii Wheels (Nintendo Wii, 2008) Not Boxed. Condition is Good. Dispatched with Royal Mail 1st Class. It's boxed, I've tested the disc and it works - see pics for screenshot. Alone in the Dark Limited Edition Box Set Nintendo Wii PAL Complete. Condition is Good. Dispatched with Royal Mail 1st Class Large Letter. Wii Music (Wii). 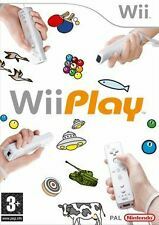 Wii Music can help you get in tune with your inner musician. New & Sealed. When can I expect it to arrive?. When will my order be dispatched?. Even if you've never played a note in your life. Wii Sports Resort - PAL UK - Boxed - Manual - Complete. Condition is Very Good. This is for Final Fantasy Fables Chocobos Dungeon For Nintendo Wii :D. Photo/s show item/s for sale! Wii - Mario and Sonic At The Olympic Games - Boxed no manual . Condition is Good. Dispatched with Royal Mail 2nd Class Large Letter. New Super Mario Bros. Wii - Nintendo Wii Game - Boxed With Manual. New Super Mario Bros. Players can even ride different Yoshi characters and use their tongues to swallow enemies - or their fellow players. 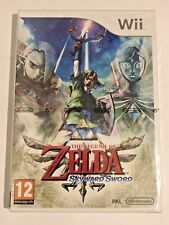 Nintendo Wii Pal Game THE LEGEND OF ZELDA TWILIGHT PRINCESS with Box & Manual. Condition is Very Good. Dispatched with Royal Mail 1st Class Large Letter. PokePark Wii: Pikachu's Adventure (Wii) VideoGames boxed compkete disc vgc. Condition is Very Good. Dispatched with Royal Mail 1st Class Large Letter. Adventure through the MySims Kingdom! The MySims need your help! To save the kingdom, you'll need creativity, courage and cleverness. SimAnimals leaflet. Instructions booklet. Health and Safety booklet. Nintendo Wii Driver Parallel Lines Fully Boxed With Instructions, In Very Good Condition As My Picture. It's boxed complete with manual. I've tested the disc and it works - see pics for screenshot. Good luck! Nintendo Wii Game, The King Of Fighters Collection Orochi Saga. 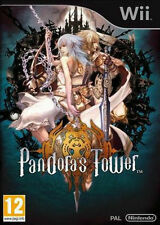 PAL Version.